Fluoride is in pretty much all toothpastes. There are huge benefits to using a toothpaste that contains fluoride. But why? As with everything that we put into our bodies, we should understand what it does and why we benefit from it. Saveera Sumathipala is a dentist who helps her patients to prevent tooth decay every day. We’ve asked Saveera to explain all about fluoride and why it’s important. What is fluoride? What does it do to my teeth and do I really need it? Fluoride is a mineral which helps keep teeth strong and stops the spread of decay. It is found in everyday fruit and vegetables, drinking water, toothpastes, mouth-rinses and varnishes. Some countries have even introduced fluoride in milk, as a way to make sure children get the benefits early, making their teeth less prone to childhood tooth decay. There’s fluoride in drinking water. Isn’t that enough to make my teeth strong? In part, yes. A lot of clever studies, done by a lot of very clever people, show us that fluoride in drinking water reduces the rate of tooth decay by about 35%. However, they also show that fluoride applied directly onto teeth is more beneficial. This is why toothpaste contains fluoride and dentists put fluoride varnish on children’s teeth. Fluoride varnish sticks to the teeth and releases fluoride, strengthening the enamel. Does all water have fluoride in it? Not all of the water in the UK has fluoride added to it and it is estimated that only 10% of the UK population has access to fluoridated drinking water. If you live in the following areas your water will contain added fluoride, which is a good thing as your teeth are more likely to be stronger and resistant to decay. How much fluoride should be in my toothpaste? 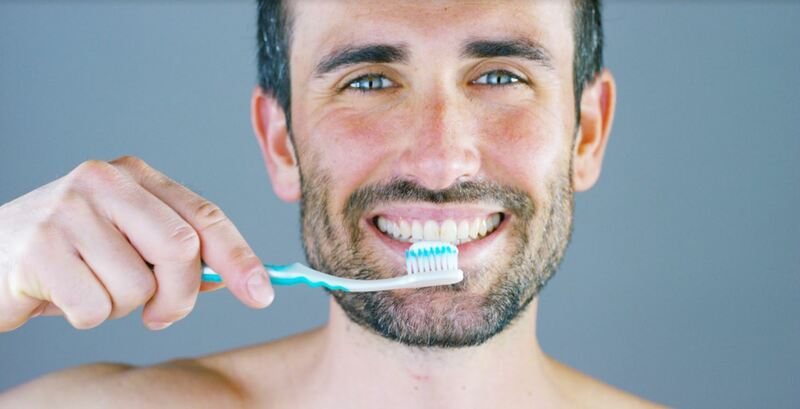 Be sure to use toothpaste with at least 1000 parts per million fluoride (ppm F) in it, as studies show this is the minimum amount of fluoride needed in toothpaste for teeth to get its benefits. This concentration can, however, increase up to 1500PPM for adults. Most adult toothpastes contain 1450PPM fluoride. This is perfect. Have a look at the toothpaste that’s in your bathroom. If the packet says something like ‘1450PPM F’ or ‘1450PPM NaF’, this is ideal. How much fluoride should be in my child’s toothpaste? Children up until the age of 3 should use a smear of toothpaste with at least 1000ppm fluoride in it. 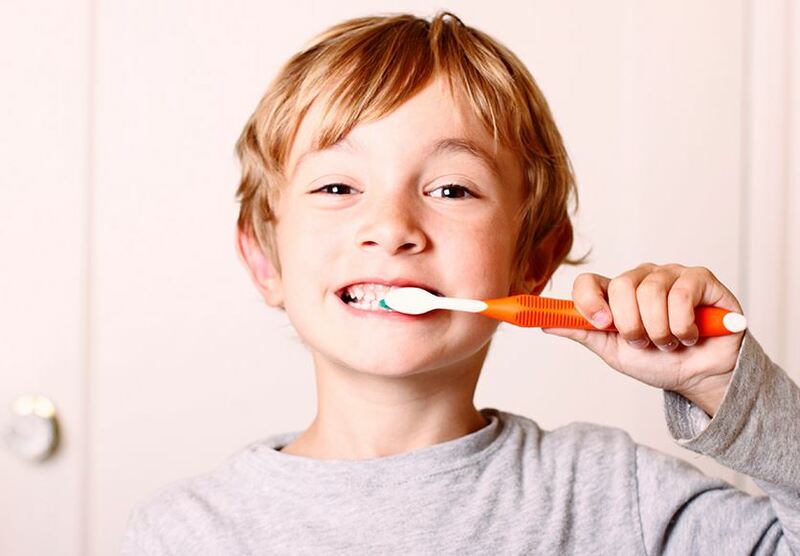 Children aged 3-6 can use a pea sized amount of toothpaste containing more than 1000ppm fluoride. Remember, brushing should be carried out as soon as the first baby tooth appears in your child’s mouth. To begin with, you may just get your baby to get used to having the brush in their mouth and chewing on it a bit. That’s a great start. Try to encourage a routine of brushing twice a day. Remember to give them just a small smear of toothpaste. At the age of 7, toothpaste with a fluoride concentration from 1350ppm to 1500ppm should be used. Try to get your child to spit out the toothpaste after brushing but do not rinse with water. This means that the fluoride in the toothpaste stays on the teeth and keeps working. fluoride that should be in your child’s toothpaste. Why do my teeth need fluoride varnish? And how does it work? Fluoride varnish contains more fluoride than normal toothpastes and when applied directly as a varnish, it binds to the outer surface of the teeth, called the enamel, making it stronger. The Department of Health recommends that in addition to good diet and brushing habits, children from the age of three should have fluoride varnish applied to teeth by a Dentist at least twice a year. This helps to prevent or stop the spread of decay. What can happen if my child has too much fluoride? If a lot of fluoride is taken in by our bodies over a very long period of time (especially when teeth are developing inside the gums), this can lead to ‘Fluorosis’. Fluorosis is what happens to teeth when too much fluoride is in the body. It can show up as white ‘specks’ or ‘lines’ on teeth which look more apparent if a lot of concentrated fluoride has been ingested over a very long period of time. This is why it is also important to make sure that your child’s toothpaste contains the recommended amount of fluoride. We recommend that parents brush their child’s teeth until they are 8 years old. If your child wants to brush themselves, that’s great but you should give their teeth another brush afterwards. For further advice on how to care for your child’s teeth, read our article and watch our video.